Buyers can set up custom shipping address profiles to select when ordering, a good example would be if the buyer was shipping a special order (example: a birthday gift) to a different location and needed to choose a different address. Full registration and guest checkout methods build the default shipping profile address for the new user, new shipping profiles can be set up after that from the My Account shipping profiles. If social sign up is used, the profile will not be fully built so the user will be redirected to complete the profile for shipping address. If the seller does not ship to the buyers location, the message will appear to advise why the order cannot continue and the buyer can click on the change link to update or choose another saved shipping address profile to complete the order. 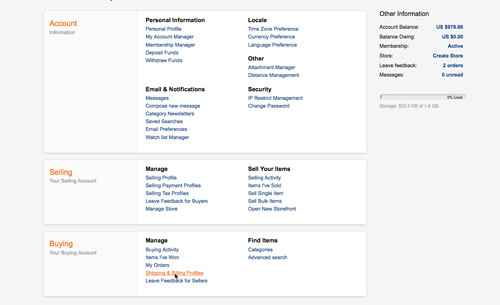 Buyer can select a new address from the available saved profiles.